Mth Degree | Amplifying the Culture-Brand Connection. 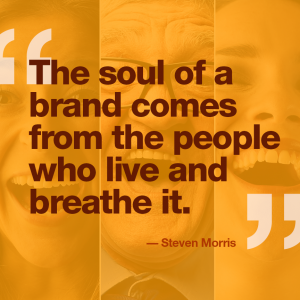 How to tap into the soul of your brand. Have you ever noticed that you can’t seem to trust a person who says one thing and does another? No matter how hard they try, or what they say to persuade you, the thoughts of some people can’t be covered up. Someone might say, “I really care about you,” while their actions are telling a very different story. Think used-car salesmen here. Our intuition plays a large role sensing the truth of these situations. When a brand communicates and relates to customers (or other companies) the same thing takes place. The way a company behaves when their audience is not there to see it should be no different when they are there. Just like personalities famous or otherwise, the things that people think about and care about is directly connected to how they act, and therefore how people perceive them. One way to build a stronger brand-culture connection is to take a deep assessment of how and where your brand and culture connects, and where it is disconnected. It’s my belief that there can be no separation between corporate culture and brand, and I’m not alone in this belief. One comes from the other. They are directly linked. And when your brand and culture are intentionally, purposefully and tightly tethered they both become stronger. Consumers these days are so savvy that they see right through the companies who are pretending to act one way, yet their values are placed somewhere altogether different. This cuts through the sometimes overly simplified storytelling perspective of branding. While storytelling can be a powerful and intriguing way to present a brand, if it’s not done with honesty and integrity, the story reads like a thinly veiled untruth that leads a consumer to question the character and integrity of the company in question. A while ago, I led a large financial institution through a brand evolution program. The company was going through the growth of mergers with another company and there needed to be a reassessment of the brand due to a drastic change in services and the mergers of cultures. As I led them through our research and fact-finding interview process, it was discovered that many employees did not understand what the shift meant. They also had little understanding of who they were and what the company stood for. As we moved forward in the repositioning process, we took advantage of this lack of understanding as a blank-slate opportunity to define who they were. We asked many members of the organization weigh in on the beliefs and values of the organization and ensured that their voices were heard. This process helped us learn about the beliefs and create cultural understanding and buy-in as the brand evolution was being shaped. Before any brand launch went public we interviewed a wide range of employees, from tellers to executives, about the core elements of their day-to-day job; not so much what they did for work, but how they interacted with one another, how they interacted with customers and the public, and how they perceived the heart and soul of the company. From this, we gave the company a report on their corporate culture and turned it inside out to express what was most important and relative about their corporate culture to their audience. The result of this created a brand evolution that the employees embraced and believed in. Further, when we launched the brand, internally first, we created content and videos where the team members spoke about the brand beliefs. And after the public brand launch, when someone came into one of their offices, the brand would continually be reinforced by the actions of the employees. This relationship between corporate culture and brand comes to life by many of the most well-known and powerful brands in many markets. Take the Amazon brand and culture, for instance. While there’s been some public scrutiny about Amazon’s culture not being for everyone, Jeff Bezos is open about what he calls their “gladiator” culture and he considers it “purposeful Darwinism.” This performance drives the culture, which drives employees to constantly innovate in order to serve Amazon’s promise of exceptional customer experience. Amazon customers are rewarded for the drive within the culture by team members delivering great customer service. In turn, customers reward Amazon with loyalty and ultimately dollars. 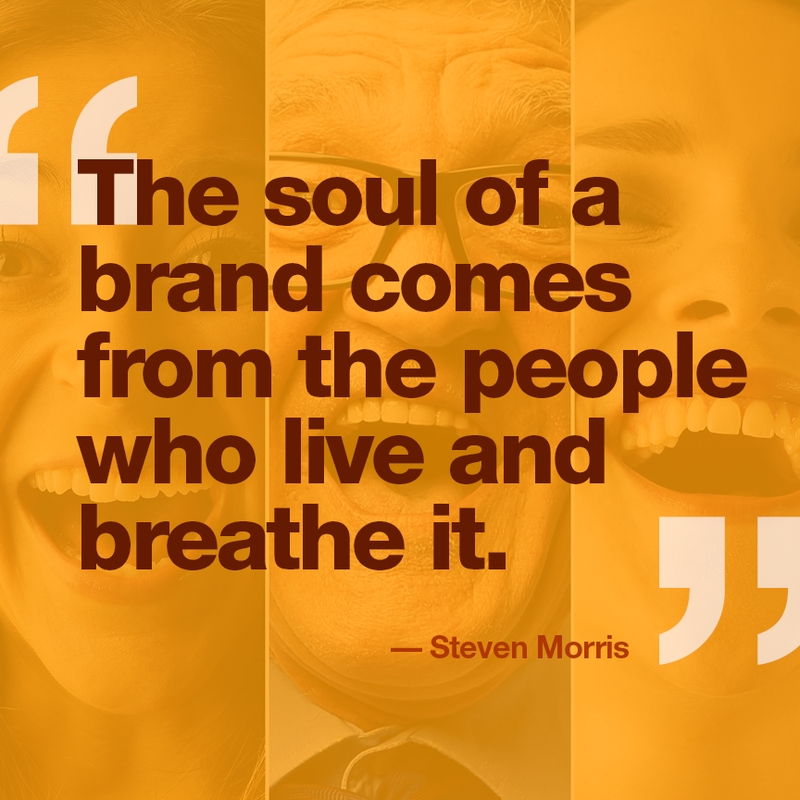 The soul of a brand comes from the people who live and breathe it. The folks within your culture are living embodiment of the brand. This is where the importance of an emotional connection—between leadership and the culture, and the culture and your buying audience—comes into play. If a brand has a clear stance on how the culture will behave it will deliver consistent treatment of customers. This builds trust and emotional connection with customers, which builds loyalty. Smart business leaders understand and invest in strong cultures and tether it tightly to the brand. Onward & forward — Better brands. Better business. Better life. Is your brand part of your profit strategy?